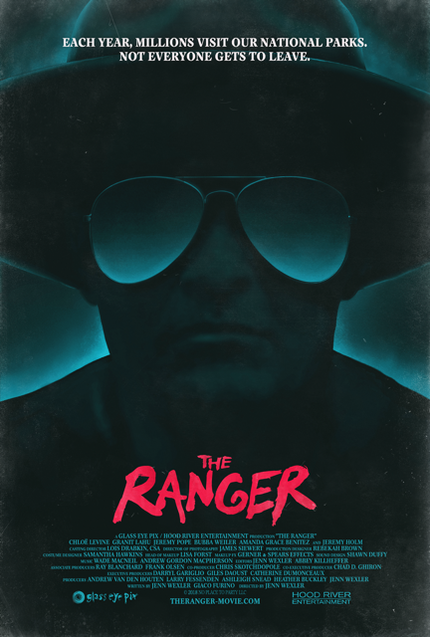 One of the many SXSW events we're excited about is the world premiere of Jenn Wexler's The Ranger on March 11th. A teaser trailer for this punk rock horror movie has just been released. The official synopsis is provided below. When Chelsea and her friends get in trouble with the cops, they flee the city and go on the run. Fueled by a hallucinogenic drug called Echo, they hope to lay low-and get high-in an old family hideout in the woods. But Chelsea's got reservations about going back to nature and secrets she's not sharing with her friends. When a shot rings out, her past comes crashing back, and the punks find themselves pitted against the local authority- an unhinged park ranger with an axe to grind.